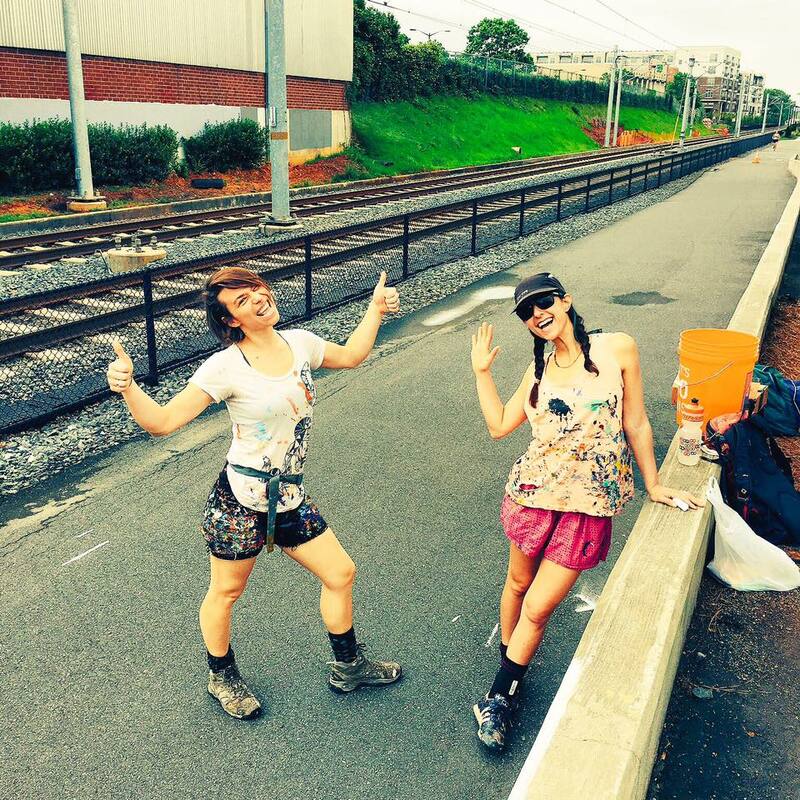 Jessie and Katey, a Baltimore-based artist duo, have painted 3 awesome murals on the Rail Trail thanks to ArtPlace America grant funding. 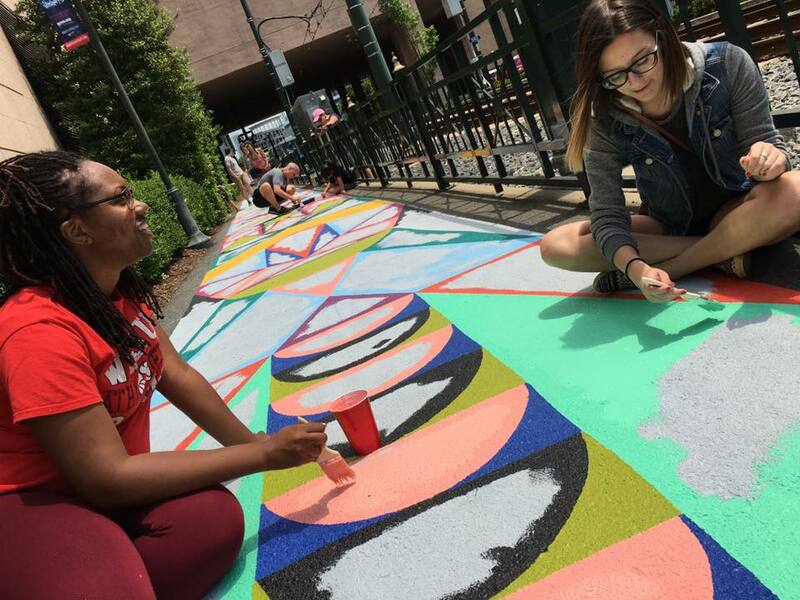 The 3 vibrant, colorful murals can be found in South End and Uptown. 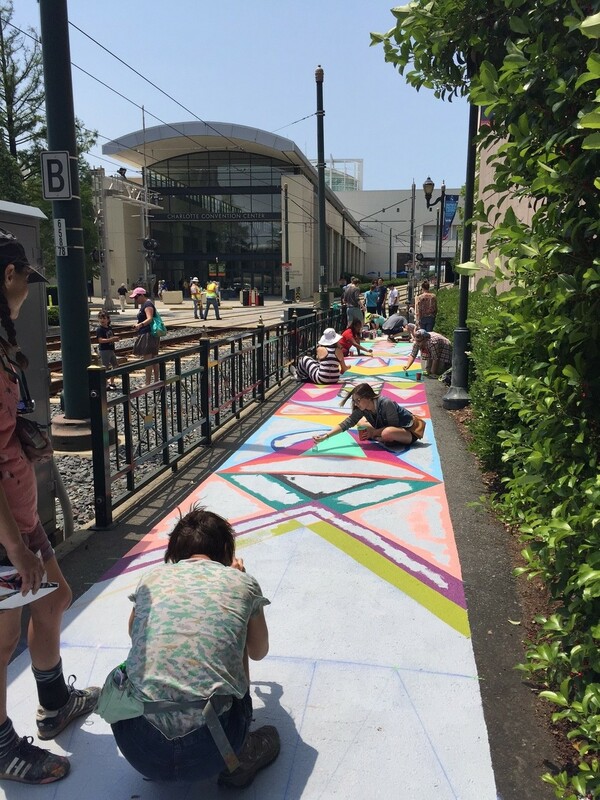 Each mural design is different and inspired by artwork created by the Rail Trail community. 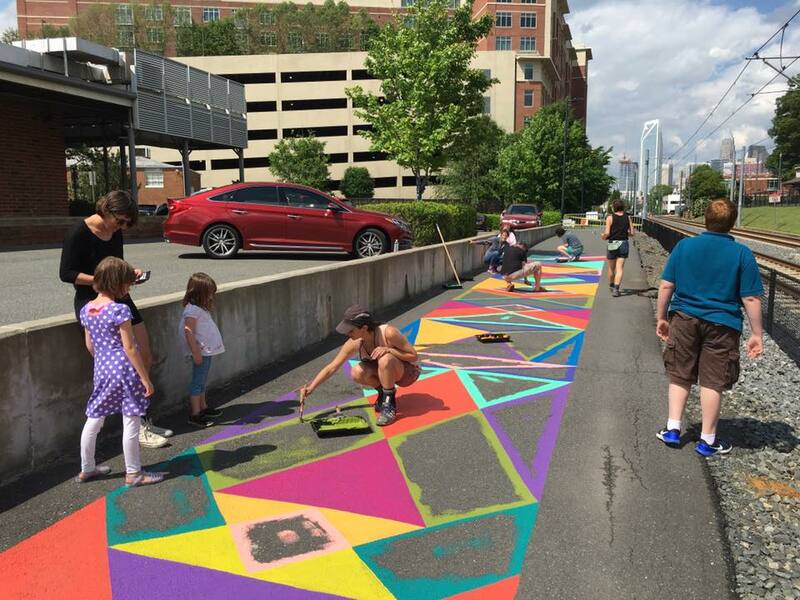 In March 2016, the artists paid a visit to Charlotte to host a series of hands-on community workshops and gather input for the final mural designs. 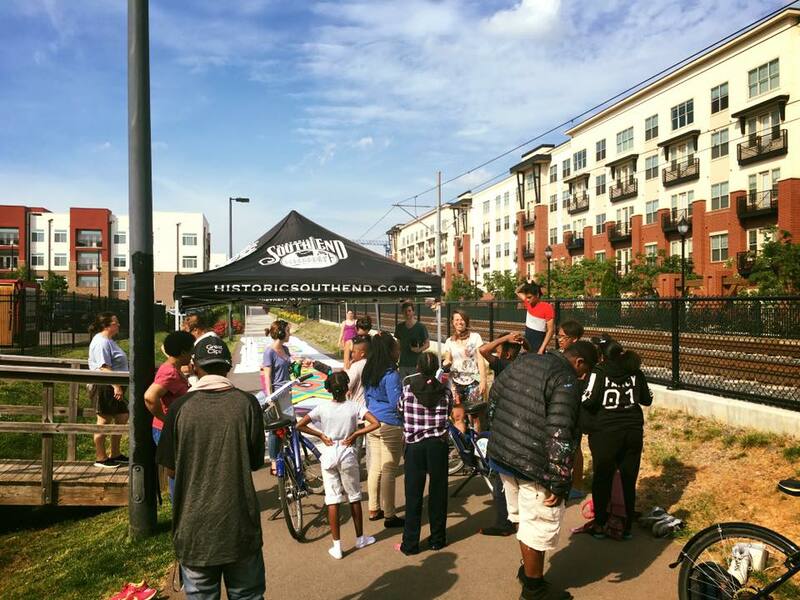 In the first workshop, Jessie and Katey engaged students at the nearby Bethlehem Center of Charlotte, which provides educational activities for school-aged children and family enrichment services for low-income communities. The students learned about symmetry and color palettes before creating unique designs with colorful paper shapes (and, later on, with face-paint!). 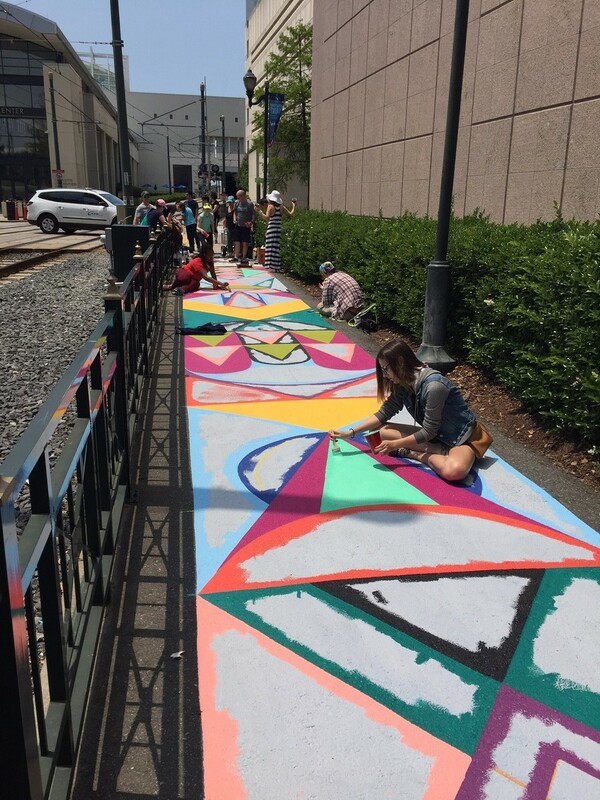 The artists also popped up at 7th Street Public Market and Vin Master for more community design workshops. 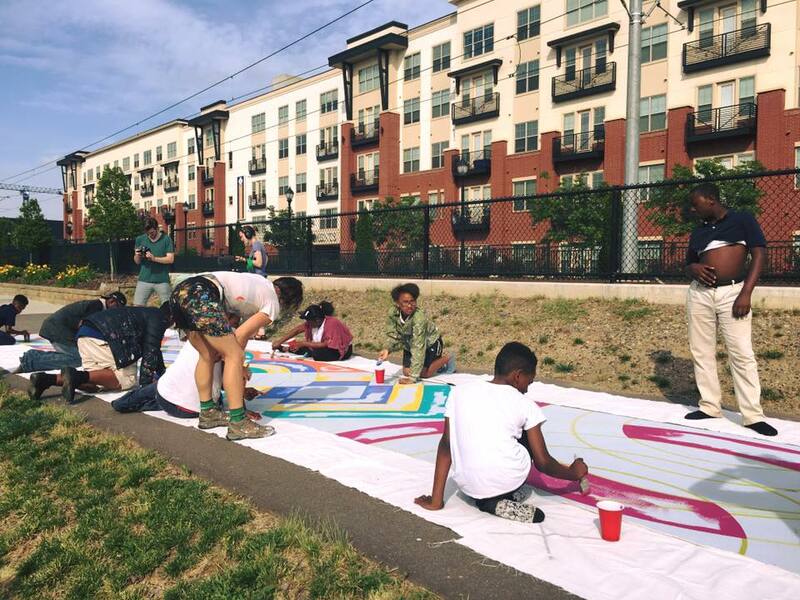 Working professionals, young families, and Rail Trail advocates alike had the opportunity to create designs that informed the final mural concepts. 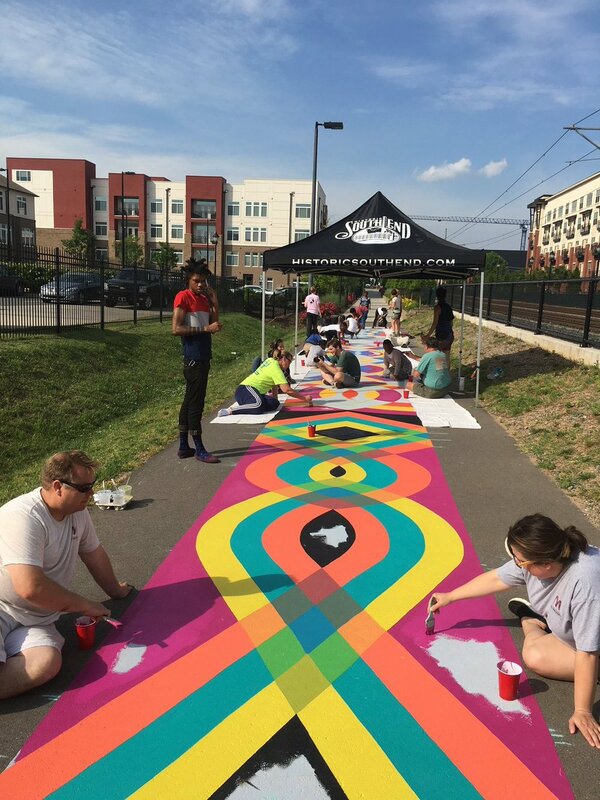 Jessie and Katey returned to Charlotte in May 2016 to paint the murals on the Rail Trail at three different locations, with an incredible amount of volunteer interest and support. 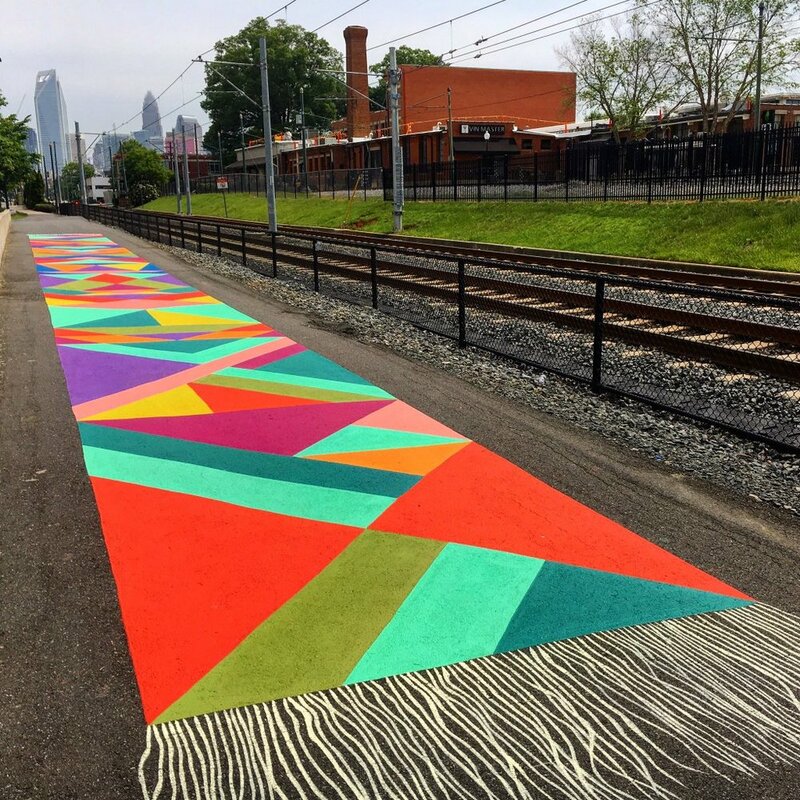 The Magic Carpet murals add a surprising and delightful experience that can only be found on the Rail Trail. 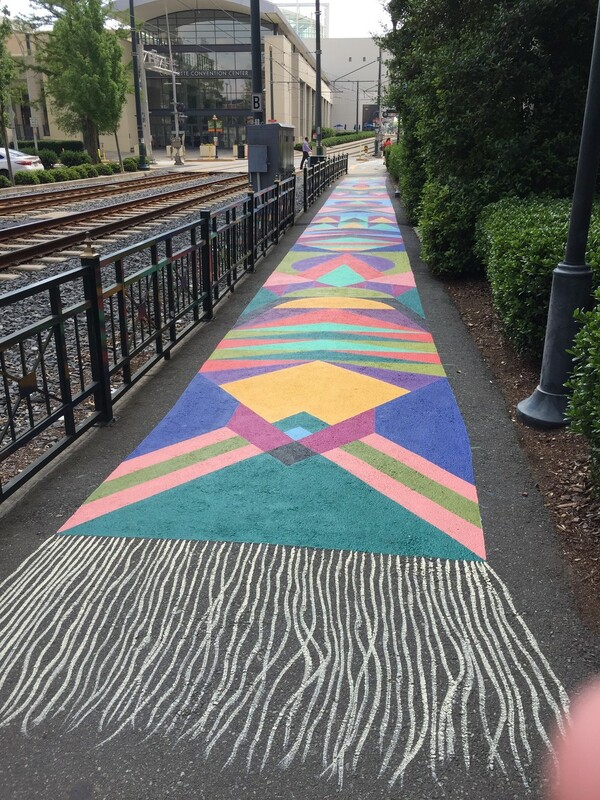 Pedestrians may happen upon one of the murals during an evening walk or more exploring Trail users might make the 2 mile hike between all three murals. 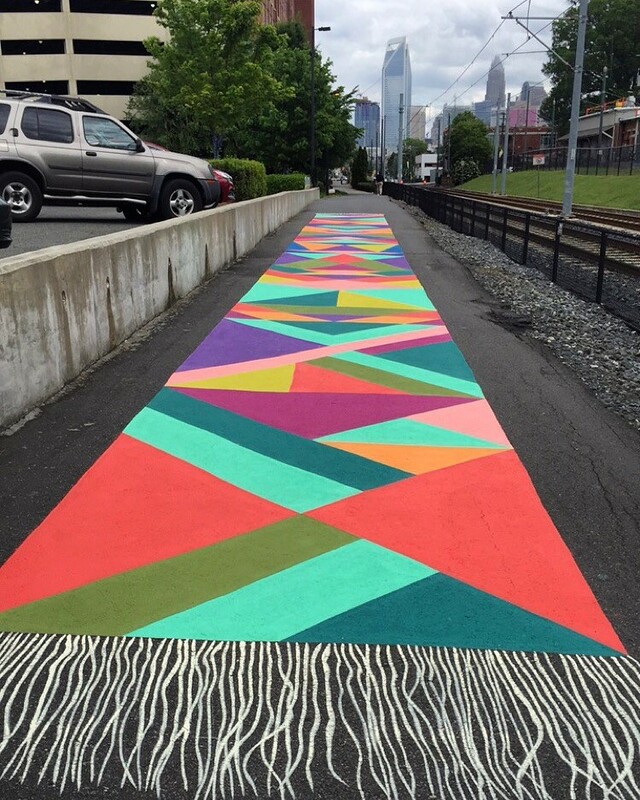 Above: "Runner's Respite", a 2016 Placemaking Micro-Grant winner, was installed next to this mural. 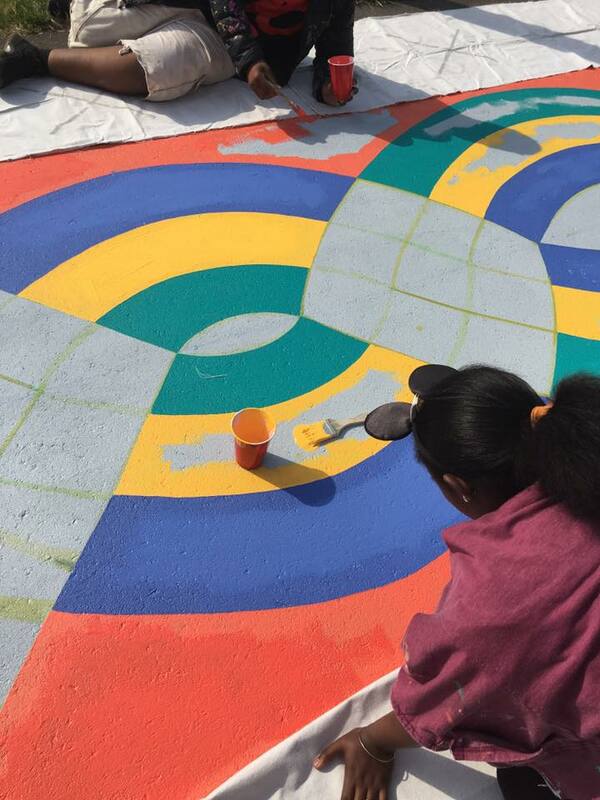 This unique seating project was submitted by Ken Jones, Liz Richardson and Darcy Everett.